Champagne On Ice: BET BIG On Silver! Becoming a superior investor requires knowing where we are in the business cycle. A classic one lasts for seven years. Wealth Research Group sees that our current one started in 2011. That was the beginning of what now is a mature economic environment. Look at the global economy today – unemployment is at record-lows in the U.S., airports are packed, vacations towns are bustling, inflation is heading higher, central banks are liquidating assets and raising rates, equities had an unbelievable run, commodities and cash have suffered, consumer and business confidence is record-high, yet brilliant money managers are NOT selling stocks, yet. This chart, when properly analyzed, shows that investors should have an idea for the stage we’re in right now. It also shows that if we’ve entered the 3rd phase, which Wealth Research Group believes we have, then stocks will be performing exceptionally, but not as much as they do in phase 2. 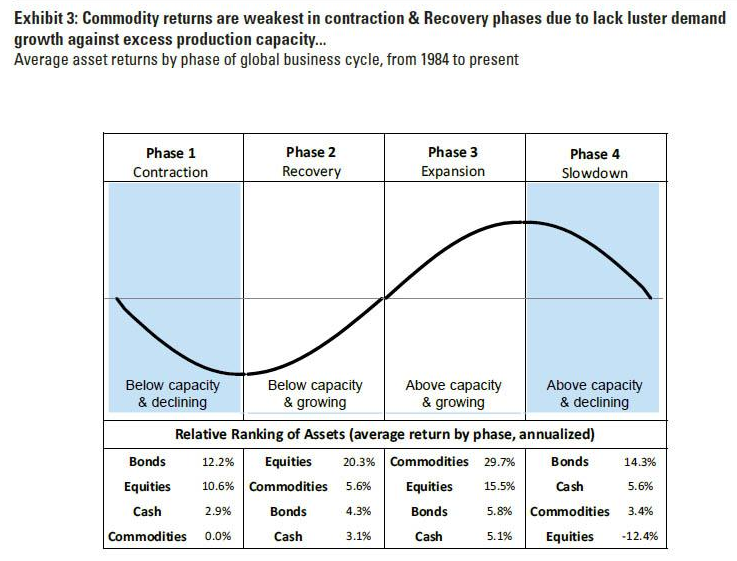 Notice that the transition between the second and third parts of the cycle includes a monumental change in commodities performance. The change is one that resembles a desert turning into a lush rainforest – from a modest 5.6% (in phase 2) to a world-class, unimaginable 29.7% (in the current phase). To give you an idea, Dan Loeb, the billionaire who founded Third Point Capital and is considered the most brilliant money-manager of the past 20 years, boasts an annual return of 15.6%. Investors have a hard time realizing that a recovery is over and expansion is here. After a major contraction (2009 – 2012), though, came a recovery (2012 – 2016). Now, the wheels are really turning fast. 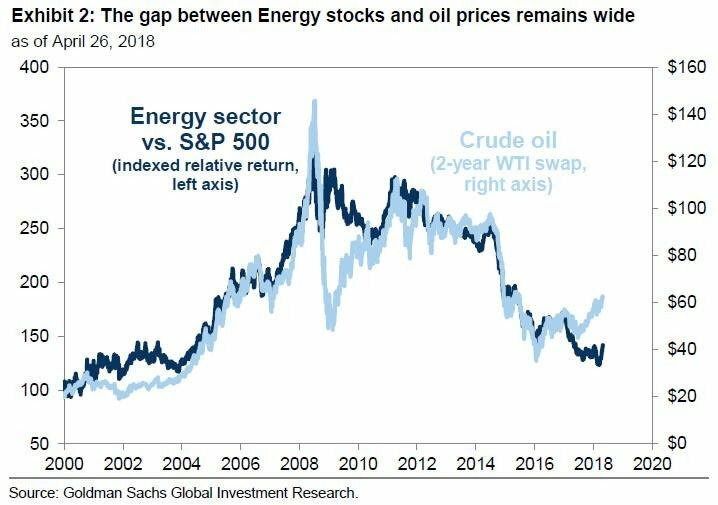 Clearly, investors would want to be in commodities, if they realized an expansion is already here (2016 – ? ); they’d be buying commodities, BUT THEY AREN’T, yet. 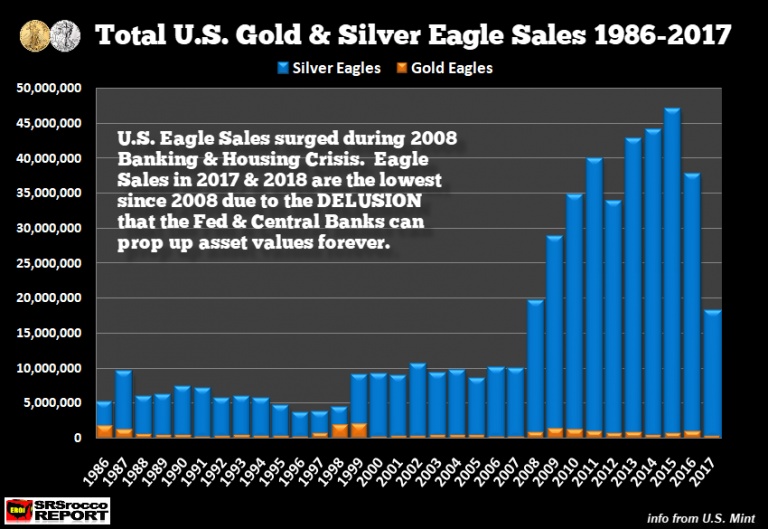 Ray Dalio, Jeff Gundlach, and others are piling into gold, as a trade, but the average person is nowhere near believing commodities are back! This is a contrarian indicator, a clear one, and staring right at our faces. Speculators have left the building, so I’m putting the champagne on ice. I’ll wait 2-3 years to pop it open, but I want it ready because there is a huge gap between consensus and reality. This is where money is made. The big, fat, life-changing profits are made when the market is wrong, greatly underappreciating an asset class, yet you have the guts and the nerve to claim that you know better. Inflation is rising, and I don’t care which of the following schools of inflation you subscribe to or believe in. 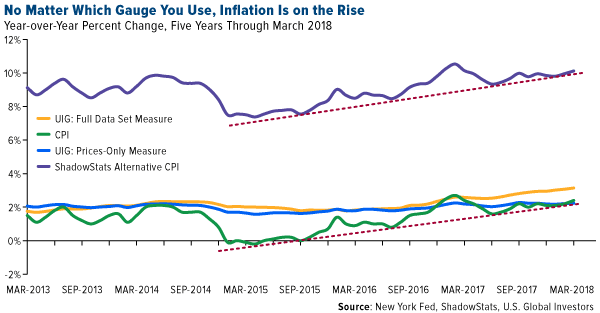 Even if you do what I do, which is to ask store owners, retailers, and wholesalers if they are raising prices across the board, or look at the classified ads to see the change in salaries, the trend is up. Employers are forced to pay overtime, since they can’t hire qualified workers fast enough. I couldn’t agree more, but the question is, are you? In stage 3, you want to be LONG commodities. This is especially true, since the masses are doing the exact opposite. Since they see the economy is growing, their spending power rising and their lives, in general, improving, their appetite to prepare for doom is largely gone, just as the best buying opportunities exist. They remind me of an abused wife, who’s been beaten for years, yet one day the husband surprises her with flowers for a whole month, and she suddenly forgets his true nature and forsakes her plans to leave him, since good times are here. Another monumental lesson from the cycles chart above is that in this stage, both stocks and commodities rally alongside each other. It is one of the reasons I chose to use margin to buy a gold stock last week, instead of taking profits on stocks and rolling them over into gold equities. The market is not slowing down yet, so be a contrarian and invest accordingly. All commodity stocks have suffered badly, and I mean, badly. Investors worldwide are having a hard time saying the “E” word, which I bet you do as well, but we’re Expanding. When the market realizes this, though, sellers, who are buying at today’s prices, won’t budge, believe me. For example, there is no way in hell that I would part ways with shares of my top three resource stocks for less than 4-times what they trade for right now. I can tell you that I’m not the only one. Like me, other ballsy investors are holding the bubbly, waiting their turn, and after a long walk in the desert, will be ready for the rain to pour.